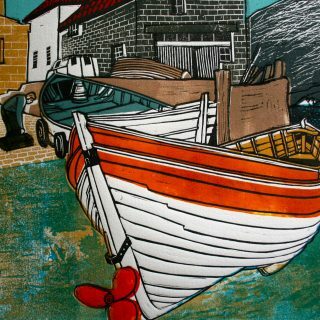 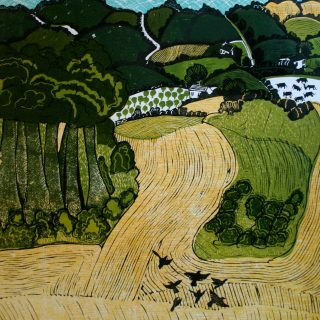 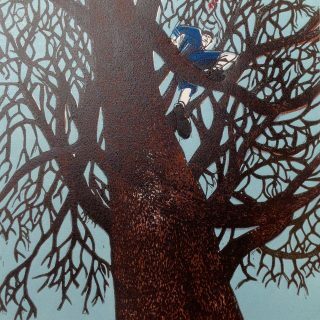 Michael says that his prints have a storyline quality, they are interpretations of an incident that he may have seen or heard and developed, and eventually committed to either the etching plate, lino print or limited edition book. 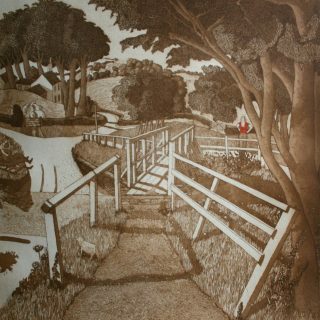 The curve in a particular field set against a backdrop of trees or buildings can conjure a setting in which he creates his imagery. 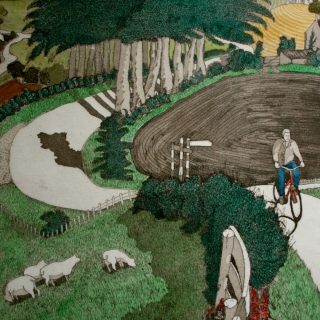 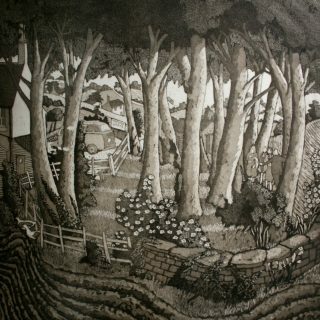 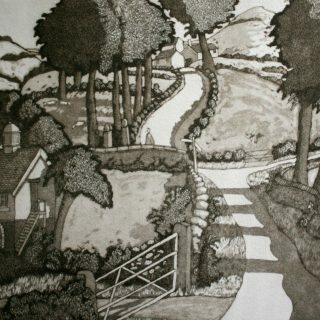 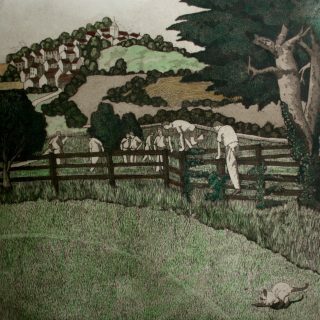 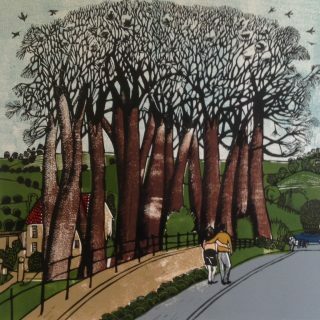 The people in the etchings help to give scale to the landscape, often dwarfed by the trees, a chance encounter, an amusement of one sort or another. 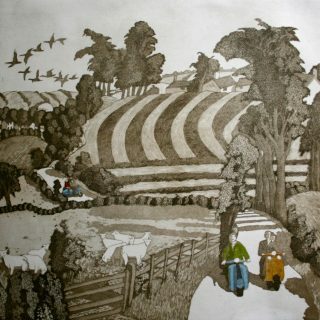 Each image tells its own story of people within the encompassing landscape. 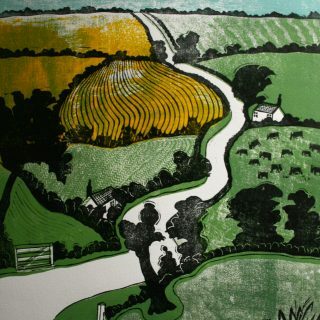 After graduating from Maidstone College of Art with a Graphics degree specialising in Printmaking, Michael worked for four different print workshops mainly as a printer. 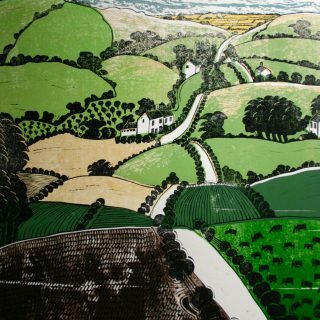 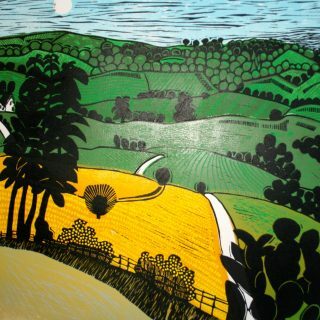 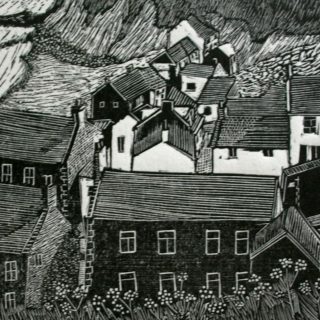 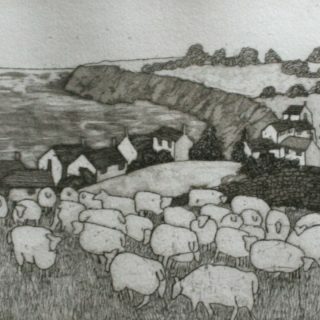 Part-time teaching (ATD) funded the founding of his own private press which now publishes etchings/linoprints and limited edition books for himself and other artists. 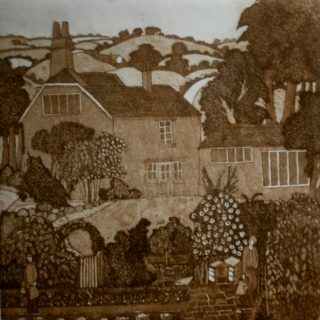 Michael prefers to work from prepared drawings to the size of the intended plate using either copper or zinc. 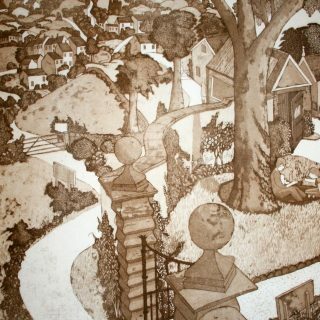 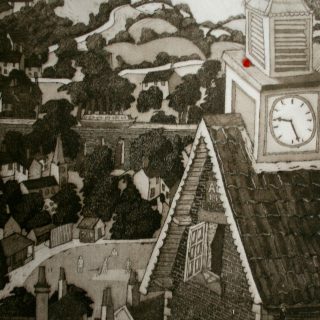 Several proofs are taken before a fine rosin aquatint is laid which when bitten creates the tonal qualities of the print. 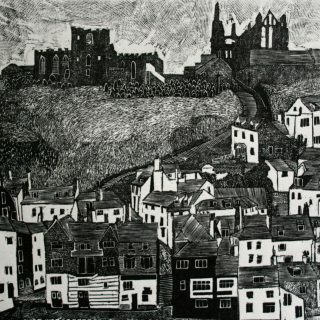 Michael’s work is held in many private and public collections around the world.